An epic story of family, vengance and conspiracy set in the pristine yet brutal backdrop of a Renaissance Italy. Check out the breathtaking E3 trailer. The Deluxe Edition is available now on PC! Get ready to plunge into the lush and deadly world of the Italian Renaissance, an era of arts, riches and murderous conspiracy. 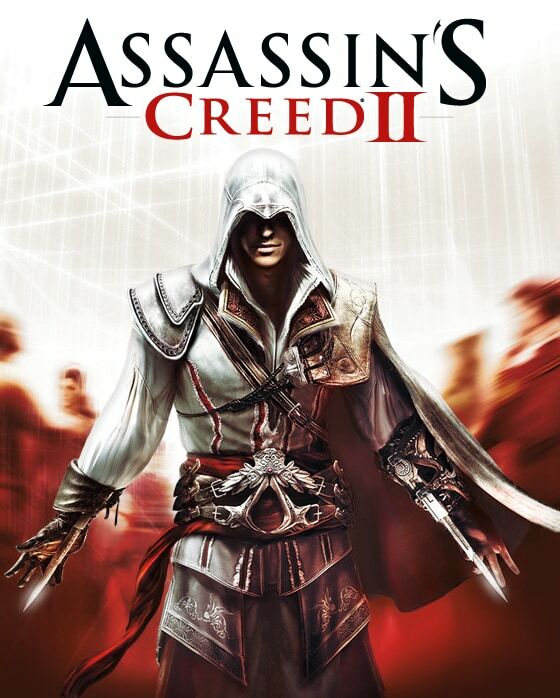 Assassin's Creed II introduces you to Ezio, a new assassin carrying on the deadly lineage of his forebears. Confront an epic tale of power and corruption as you hone your Assassin's art, wielding weapons and instruments designed by the legendary Leonardo Da Vinci himself in this gripping and deadly sequel. 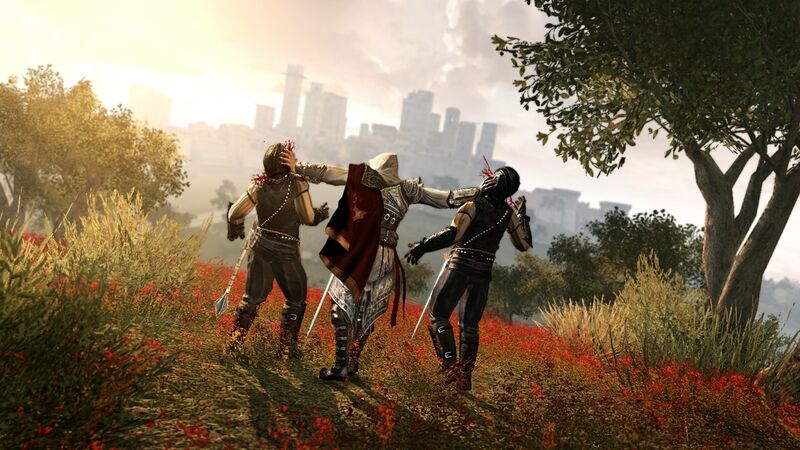 Explore the deadly, shadowed world of the assassin with new assassin Ezio. 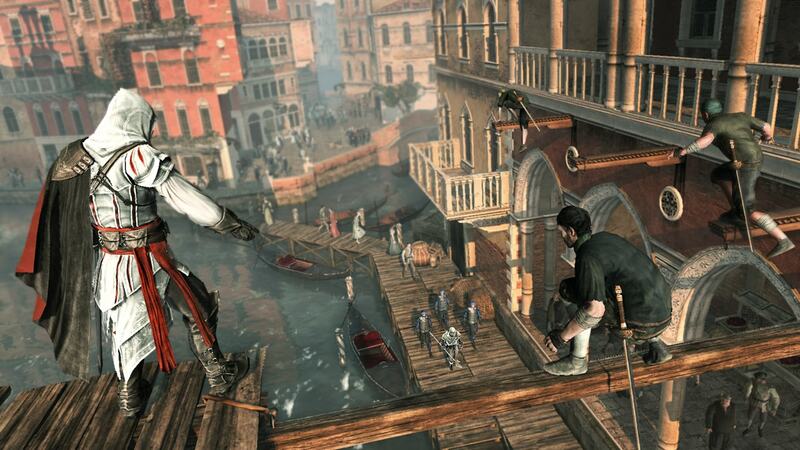 Roam freely through the lush and dangerous world of Renaissance-era Italy. Do whatever it takes to complete your missions in the game's all-new open world and mission structure. Thrive in an environment rich with power, revenge and conspiracy. 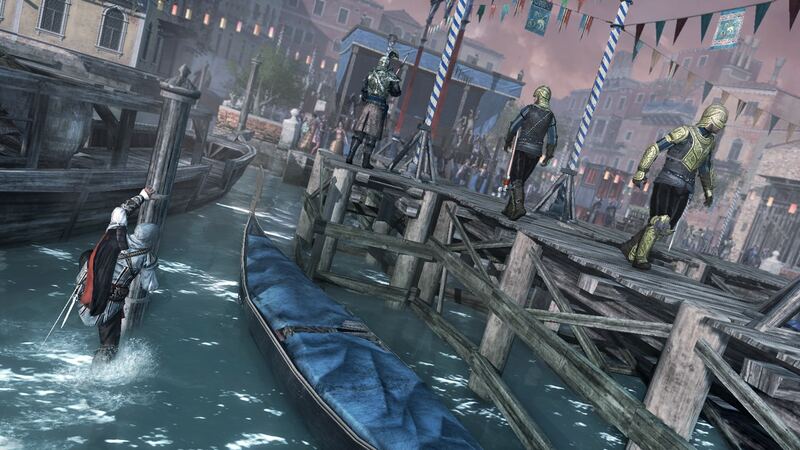 Practice your assassin's art with all-new weapons and instruments created by Leonardo da Vinci. Master the skills, tactics and weapons of history’s deadliest and most secretive clan of warriors including the deadly Hidden Blade. Stalk your prey through richly detailed, historically accurate, open-ended environments. Scale buildings, mount horses, blend in with crowds. Do whatever it takes to achieve your objectives. Experience heavy action blended with fluid and precise animations. Use a wide range of medieval weapons, and face your enemies in realistic swordfight duels. 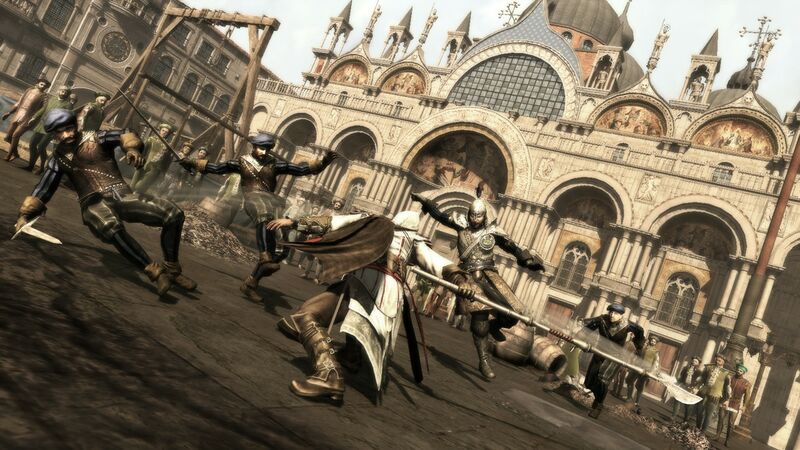 Rich in art, culture, greed and corruption, Renaissance-era Italy serves as the backdrop for Assassin’s Creed 2, the follow-up to the best-selling debut title in the Assassin’s Creed series. 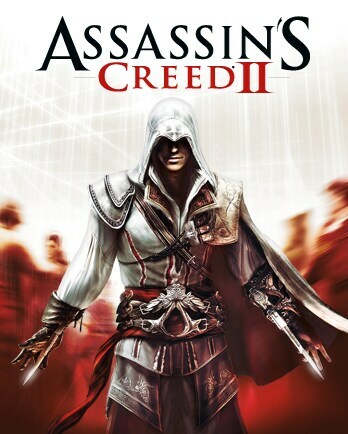 Gain a deeper understanding of the secretive Assassin Order as you follow a new hero, the charming and free-spirited Ezio Auditore de Firenze. 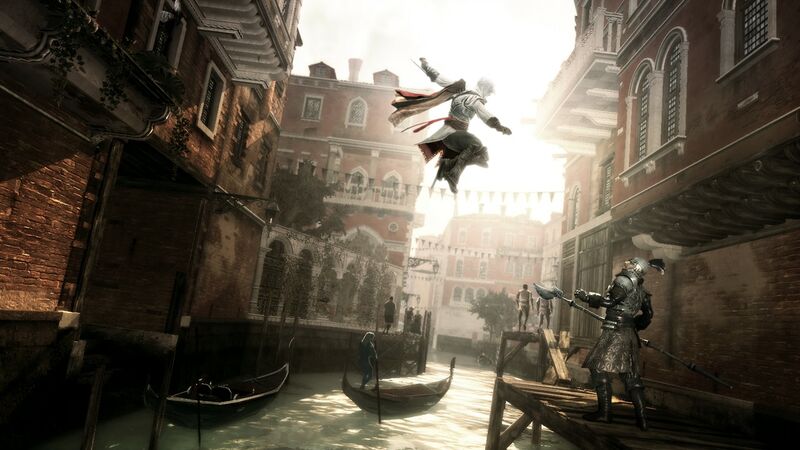 When de Firenze’s family is betrayed, the young nobleman steals away to the canals of Venice, where he learns the ways and weapons of the assassins.